Cameras capture an event, whether still or video they are viewing the world through the user’s vantage point and are experiencing that event as that person sees things. Just as there are three sides to every story, there are many sides to every event. Digital Image Correlation (DIC) breaks outside of the normal single point of view and offers researchers access to data they would not see through a single lens. For an in-depth look at in-lab applications including DIC download our whitepaper "High-Speed Cameras Help Digital Image Correlation Show Its Strength." Why High-Speed Cameras for Digital Image Correlation? When recording any event, especially high-speed ones like water spray or explosions, actions happen so quickly that they are nearly invisible to the human eye. Often we don’t even see the event happen, we only see the aftermath of its occurrence. High-speed cameras used to record these situations must ensure that the speed of the action is brought to a manageable level, and that the scientist is able to clearly see every detail possible. Sensors used in Phantom cameras work to deliver both. 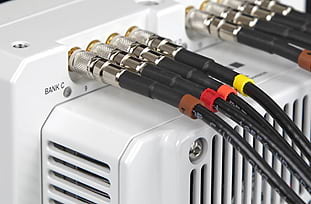 With available frame rates ranging from a few hundred frames-per-second (fps), to several thousand, to 25,000 at 1-megapixel and all the way up to over 1,000,000 fps at reduced resolution, Phantom high-speed cameras are ideal for DIC and virtually any other high-speed event you can put in front of them. 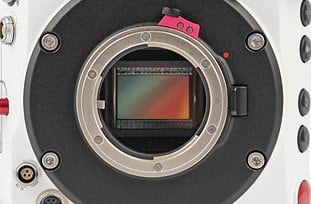 Our camera sensors also push the limits of light sensitivity to aid in delivering ‘Phantom Image Quality’ images that have exceptional detail and result in reliable data. In this case, more is better! Multiple angles mean that scientists receive multiple data streams and a more complete ‘picture’ of what is occurring. Digital Image Correlation allows for analysis of deforming shapes and how an affect may radiate from the point of origin. With separate cameras from different directions, perfectly synchronized in time, the perspective is enhanced and effects on the test object are thoroughly documented. Multiple angles also mean that, through a special software, digitally produced 3D renderings are possible. DIC and 3D imaging allow for all points of interest, not just the impact itself, to be captured. Traditional 3D imaging required that dozens of tiny sensors be painstakingly applied to an object for testing. Large amounts of time an effort had to be taken to ensure that they were evenly distributed and would not adversely affect the results. 3D imaging through DIC with high-speed cameras removes that entire portion of the process. By utilizing a random paint splatter pattern as focus points for the camera preparation time is significantly reduced. Post-production can analyze how an object moves, vibrates, or changes shape freely via a computer program that focuses on the paint splatter applied. 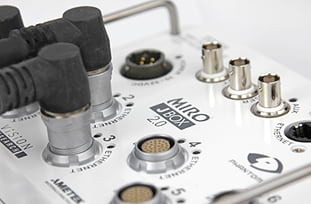 The Phantom Miro 321S is compact and affordable. 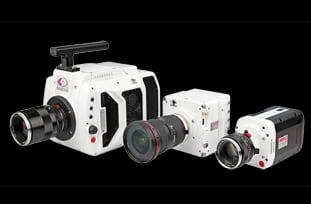 Multi-camera setups are simple to set up and synchronize so data from a variety of angles is collected. The 2 Mpx sensor captures shock and vibration details easily. 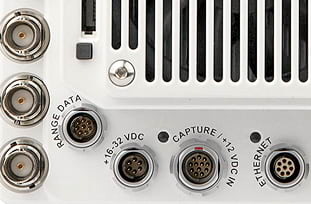 The Phantom VEO410L is designed for laboratory settings with simple connections and a compact body. When using multiple cameras 3D imaging is clear and detailed observations are possible. 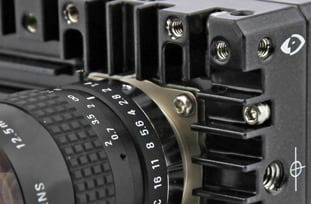 The Phantom v2640 combines a high-resolution 4 Mpx sensor with ultra-high frame rates for both detail and high-speeds. On-board data management via the CineMag keeps images safe, a factor that becomes very important when one-time only events are being recorded. The Phantom v1212 may be the introductory level camera in the ultrahigh-speed series but it does not disappoint. Utilizing the same large 1 Mpx sensor as other UHS cameras the v1212 brings high sensitivity and fast speeds to DIC testing.